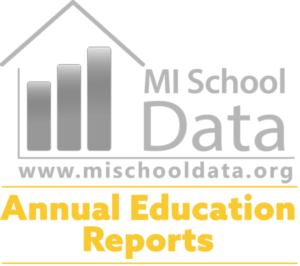 Each year the Manistee Area Public Schools is required to hire an independent auditor to complete a comprehensive audit which evaluates and reports on the financial condition of the district. The audit includes a thorough analysis of all business operations as well as a compliance review for the requirements of the many programs we operate. All employees of the Manistee Area Public Schools are categorized by classification of position held. All classifications are established according to demands of the position, level of responsibility, job functions performed, credentials and skills required, etc. Each classification falls into at least one established salary schedule, which takes into account such factors as seniority in position or in similar positions, comparison to similar jobs elsewhere in community, cost of living factors, etc. The Manistee Area Public School Board of Education determines matters related to school employees including pay and benefits. This report requires listing the Superintendent and employees with salaries over $100,0000. Dues and fees paid by our district are limited to professional associations, student associations, or employment associations (labor union dues) on behalf of staff. These memberships provide added opportunities, resources, continuing education, and professional development. These memberships make it possible for our district to conduct business in more efficient ways and result in scholarship opportunities for our students. No school district funds were spent on lobbying services in 2016-2017.